Do you have Plexidor® pet doors for a wall? The best pet door for a wall is the Plexidor® Performance Pet Door . 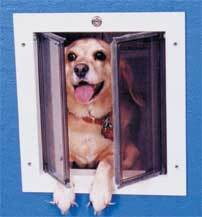 It is a construction grade pet door and has a good weather seal. You can put most pet doors through walls. Do you have Plexidor® pet doors for windows? No. The Plexidors® are designed to go through a wall or house door. The Plexidor® line can be put through any type of house door, wood, steel, fiberglass, etc. and any type of wall, 2x4 stud walls, 2x6 stud walls, brick veneer walls, block walls. Do you make Plexidor® pet doors for french doors? Yes and No. The Plexidor®pet doors can be installed in french doors. If the pane of glass are individual panes you can remove them as needed. But, if the door has one large sheet of glass with a muton grill on top, you can not cut this glass. It is tempered and will break into many small pieces if you try to cut it. Another option is to replace the door slab with one that is glass above and door material below. 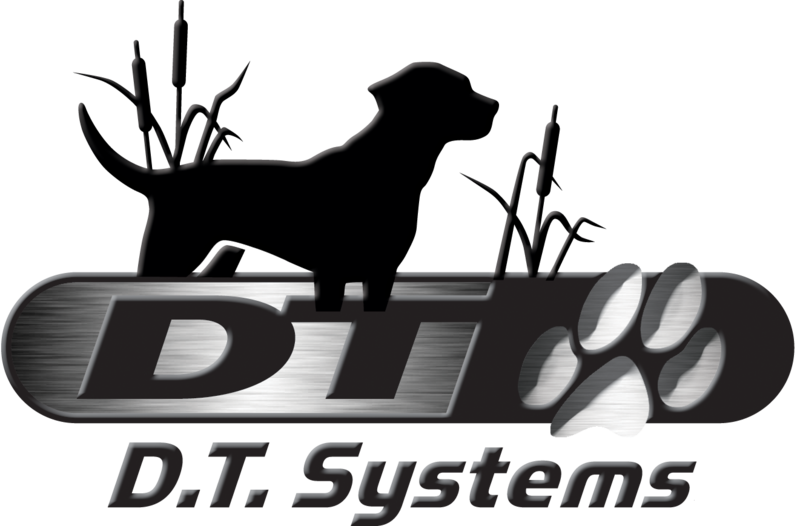 Is it difficult to train a pet to use a Plexidor® pet door? No. Most cats and dogs learn how to use a Plexidor® pet door in 2 seconds to 2 weeks. Do not push the pet through the Plexidor®. Try and coax your pet through with a treat. Can my cat use a Plexidor® that is large for my dog? Can I paint my Plexidor®? Yes, just sand the frame, prime and paint. But, try our white. It is a baked on finish like your stove. How do I clean the pet door?®? Use only mild soap and water. No bleach or harsh detergents. The opening of the pet door should be a slightly larger than your pet. Opening width - Measure the widest part of your pet. Opening height - Measure from the top of the shoulders to the chest just behind the front legs. Do a cardboard test to ensure correct size for your pet. Using the opening measurement size, cut a hole in a piece of cardboard and see if your pet can pass through easily. Or, do a door test. Wedge open a house door the opening width and blook off the opening height (starting a your pet's shoulders) and call your pet through. Pets duck their heads as they push open their doggie door or cat door and step through it so ideally you should install the pet door with the top of the opening just above your pet's shoulders.